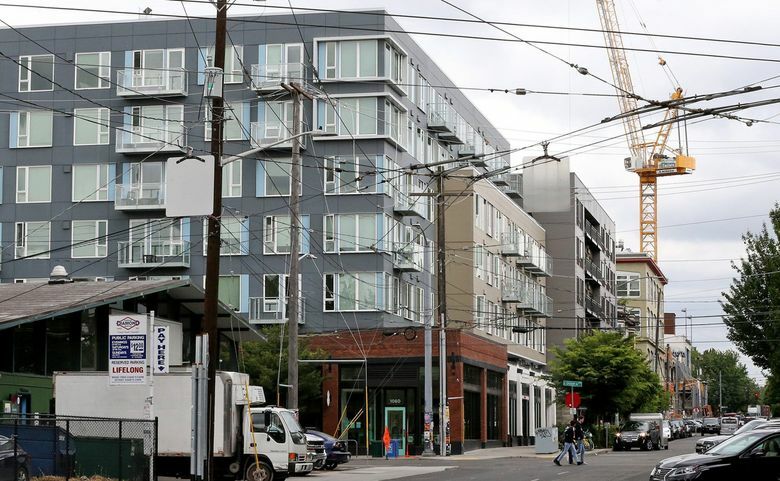 Landlords had challenged the law, in one of several court cases ongoing between apartment owners and the city of Seattle over recent regulations concerning the local rental market. A judge has upheld a recent Seattle law that limits the money renters have to pay when they move into a new place, rejecting a lawsuit by local landlords. A City Council measure that took effect in January 2017 limited deposits and nonrefundable fees to one month’s rent, and pet fees to an additional one-fourth of monthly rent. It also allowed those costs to be paid in installments over six months. The Rental Housing Association of Washington, a local landlord group, sued in May 2017 to overturn the law, arguing it violated the state’s ban on rent control. “Other payments that a landlord may require from a tenant, such as one-time payments to secure move-in rights or as a security deposit, do not fall under the meaning of ‘rent,’” Amini wrote in her 12-page ruling signed Wednesday. The landlords also argued that the move-in fee cap violated multiple parts of the state and U.S. constitutions that forbid the taking of property and require due process, but Amini ruled against those arguments, as well. Sean Martin, executive director of the Rental Housing Association of Washington, said the group hasn’t decided yet whether to appeal and had no comment on the ruling. Various landlord groups are also battling the city in court over other recent City Council measures, most notably the city’s law requiring landlords to accept the first qualified tenant.